Australia is famous for many things: the arid, scorching landscape of the outback; the sun-drenched beaches and wild surf; the unique, bizarre wildlife, and the warm welcome of a people who have the good fortune to live in a land of seemingly perpetual summer. 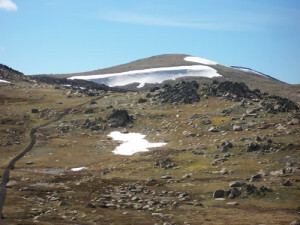 However, visitors to Sydney, Melbourne or Canberra may be surprised to learn that just over the horizon lies an unexpected delight that seems as if it could have been transported stone by stone from the Swiss Alps: Mount Kosciuszko, the highest peak in mainland Australia and home to some of the most thrilling ski runs in the Southern hemisphere. At 2,228 metres (7,310 feet) the snow-capped peak dominates the surrounding landscape and, nestled in the river valley of its southern face, perched at the foot of the steep slopes that lead to the mountain’s summit, can be found the village of Thredbo, Australia’s finest ski resort. Thredbo is a tiny village with fewer than 500 permanent residents, but with its unparalleled access to Australia’s most exciting ski runs the village attracts an incredible 700,000 visitors every year. The ski runs adjacent to the village are the most reliable on the mountain thanks to the largest snowmaking operation in the Southern hemisphere, which keeps 75 hectares covered in deep powder through the winter season. During ski season Thredbo accommodation is often booked solid with winter sports enthusiasts eager to enjoy the gentle bunny slopes, challenging intermediates and near-vertical black diamond runs that begin just moments away. But the resort isn’t just a one trick pony. The slopes may be the main attraction in the winter, but beyond ski season Thredbo is positioned as the gateway to Kosciuszko, offering everything from world class mountain biking, hiking, fishing and abseiling to a relaxed round of golf at Australia’s highest course. The village offers a range of bars, restaurants and cafes that make it the best apres ski venue in New South Wales, and for music lovers there’s also the Thredbo Blues Festival, an event which has been drawing in thousands of visitors every January for over two decades. Thredbo is home to a number of hotels that cater to the hundreds of thousands of visitors who head to the mountain each year, and most tourists are happy to spend their trip in a basic, anonymous hotel room that could be found anywhere from Sydney to Perth. Most who come to ski aren’t all that concerned with where they lay their head, so of course there are lots of basic, inexpensive and uninspired rooms available for those visitors who only want the basics. The more discerning visitors to the mountain, however, may be interested in trying some of the more unique and interesting accommodation Thredbo has to offer. Beyond the cramped, cookie cutter hotels popular with the masses you’ll find that Thredbo village accommodation has much, much more to offer. Nestled beside the roaring Thredbo river and close to the foot of the ski runs you’ll find a number of privately owned lodges, chalets and apartments available for hire, each of which offer much more than you could ever find in a hotel. From simple, inexpensive studio apartments to exclusive, rambling lodges with private decks large enough to host your own apres ski party, there’s fantastic accommodation available for everyone from singles and couple to large groups. And what could be a better choice for your mountain break than a private lodge, far from the noise of the crowds? A sanctuary from which to enjoy the majesty of nature in peace, and to return to at the end of an exhilarating day on the mountain. What better way is there to enjoy Thredbo than from your own unique accommodation? You’ll find endless options to choose from in Thredbo chalet accommodation, each with their own quirks and features to remind you that you’re enjoying an experience like no other. Your only problem will be deciding which of the fantastic private lodges you choose as your base for your Thredbo visit. Do you want the private deck fitted with an outdoor barbeque, or do you want the secluded five bed lodge set in its own extensive private grounds? Do you want the privacy of a chalet deep in the woods, or the convenience of an apartment a stone’s throw from the bars and restaurants of the village? The choice is yours. Whatever you decide, you can bet it’ll be fantastic.